The Harry Potter books (and movies) are full of all kinds of fun magical creatures, like the Monster Book of Monsters. These are the little things that make the story so magical and fun! 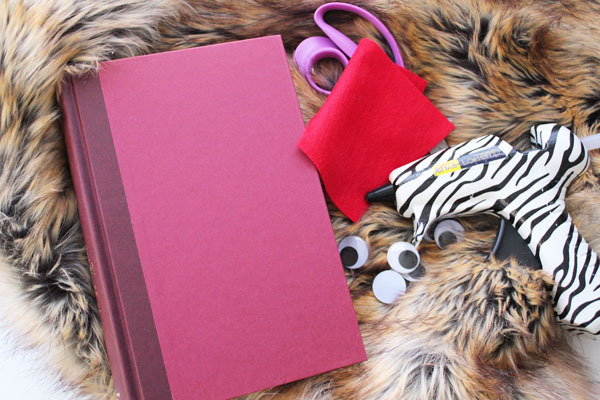 Making your own Monster Book of Monsters is easy to do, with just a few supplies, and in only a few minutes. I made this project as part of the annual Rae Gun Ramblings series celebrating Harry Potter crafts! You can go check out all the other awesome projects that are part of the series… but for now, let me show you how easy it is to make your own Monster book of Monsters. When you get down to the bottom, you’ll find an awesome Harry Potter inspired giveaway as well! 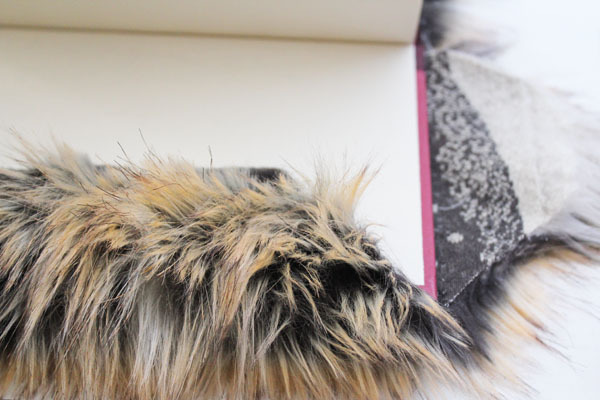 Start by placing the fur right-side-down, with the book open on top, and cutting the faux fur about 2″ larger than the book on all sides. Cut in towards the spine both at the top and the bottom, at an angle, and cut away. Then use hot glue to glue the spine in place. 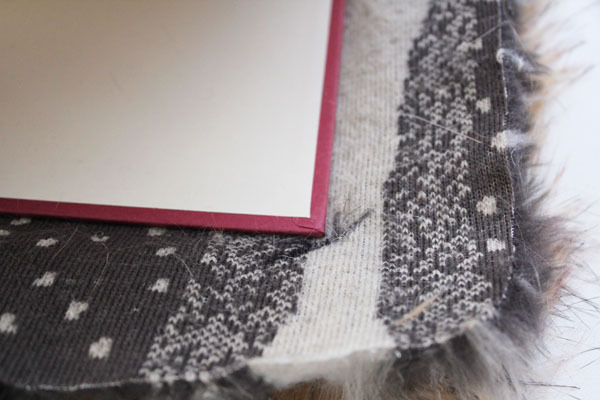 Mark the corners of the book. 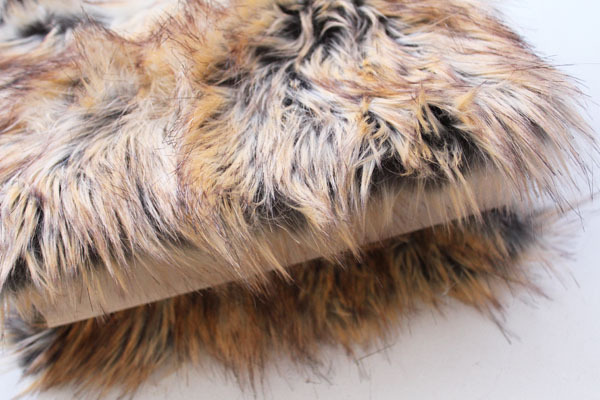 Cut away the corner, so that the flaps of fur are angled. Then glue down the flaps one at a time. Repeat with the other side. You now have a furry book! 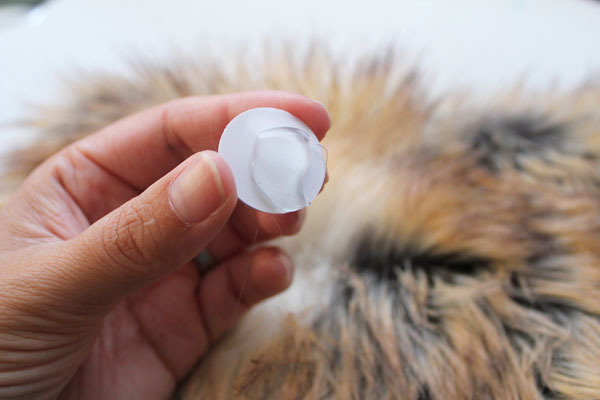 To secure the eyes, first move the fur a little, so that you create a part in the fur where you want to glue the eye. Add a generous dab of glue to the back of the googly eye. 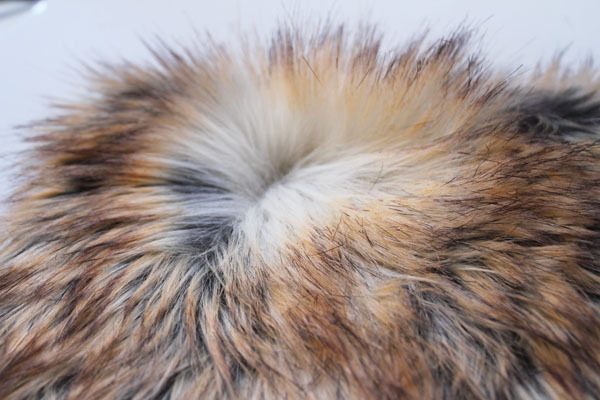 Secure in place, where you created the part in the fur. Repeat for all the eyes you want to add. 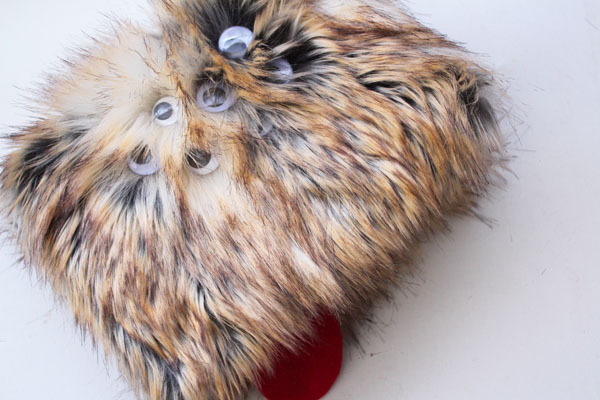 Once you’ve added all the eyes, you can pet down or fluff up the fur on your Monster book of Monsters. 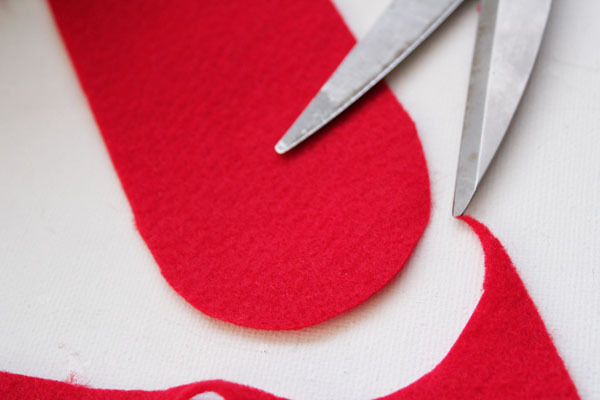 Add a tongue by cutting a rectangle of red felt, then curving one end. 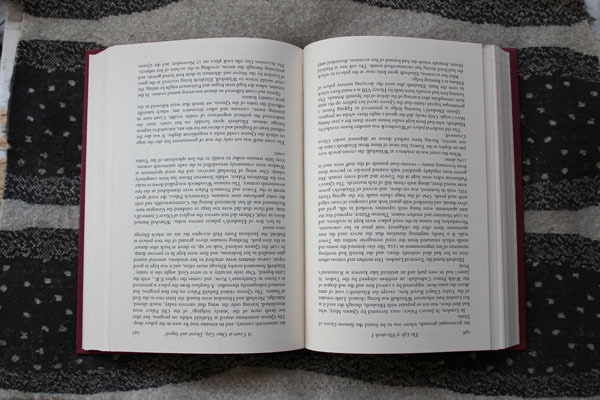 Place between the pages so that the tongue sticks out. Your Harry Potter inspired Monster book is complete! 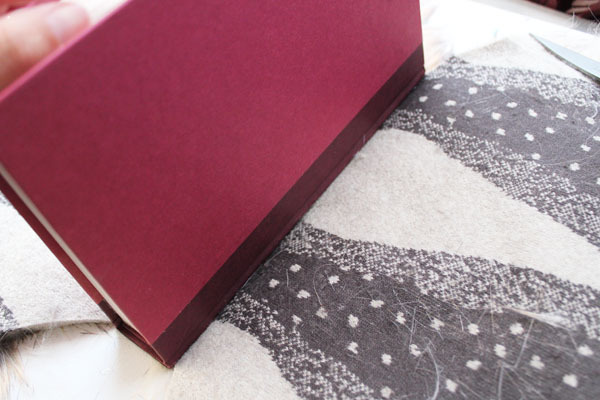 Check out this fun Harry Potter inspired giveaway! I love this so much! 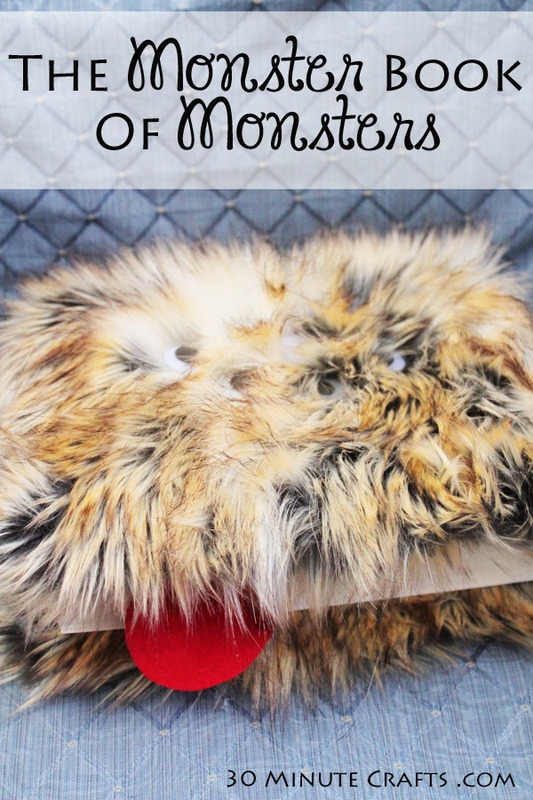 Such a fun idea and great for fur scraps after Halloween! Great tutorial, but I’d rather split the tongue like snakes have it. That would give it a more monsterly look. I think a round tongue doesn’t look really scary. No, I think it looks cute with a curved tongue opposed to a split tongue.